Mix chopped eggs with mayonnaise, lemon juice, salt and pepper. Spread in a pie pan or small casserole. Top with a thin layer of red onion. Mix cheese and sour cream, plus hot sauce if desired, and drop by spoonfuls on top of onions. Carefully spread to cover onions. 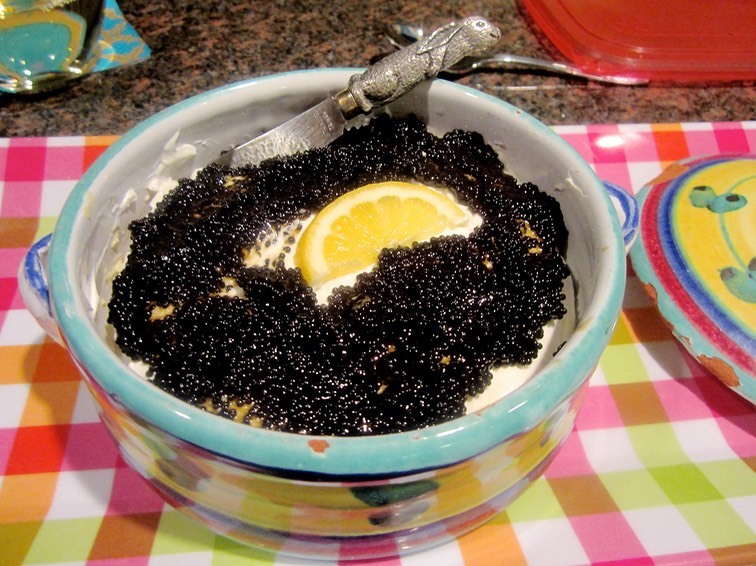 Refrigerate for at least 2 hours or until ready to serve, then top with caviar and enjoy.